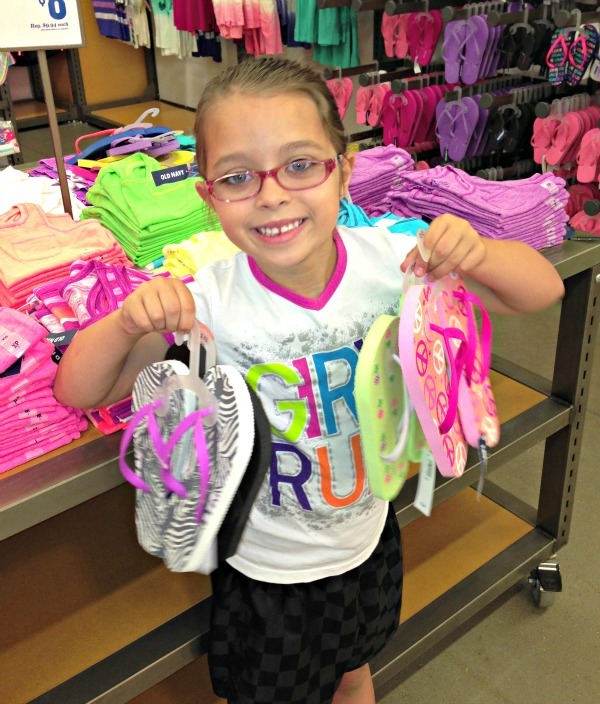 As we were standing in line, I asked Bella if she would like to decorate her flip flops to make them less boring. Of course she said yes! There are a number of things we could do with the flip flops, but being summer and the potential for them to get dirty or wet from the sprinkler is pretty high. So I decided to use water balloons. 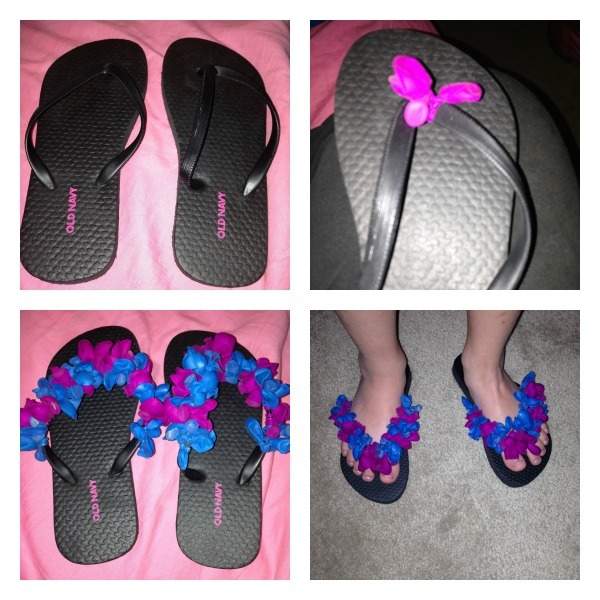 Below are the DIY step by step directions on how to decorate your flip flops with water balloons! Pick up a pair of inexpensive flip flops. You can check your local dollar stores, Old Navy or use a pair you already have! Decide the color(s) of water balloons you would like to use and in what patter you would like to use them. Take one water balloon and place it on either side of the center that goes between your toes and tie a knot. Continue tying knots with water balloons until you have completed your pattern. Grand total of $2.00 spent on this pair of flip flops! You can put as many water balloons on as you would like. Aren’t they cute?!? Originally we thought about using fabric, but with it being summer and Bella liking to run around all over the place…they would be disgustingly filthy in no time! So balloons were definitely the way to go! Tomorrow we will be adding balloons to the flip flops with the white strap. Bella is thinking all pink for that one. If you decide to give this a try (and please do…it literally took me 30 minutes…that’s it! ), let me know what you decide to do! Shoot…send me a picture! I wish these $1 flip flops were suitable for daily wear in Malawi! You know how awesome it’d be to meet our goal with $150, lol?!? Looks like a great little project and Kamryn just bought three pair today. I’ll see if she wants to break out some flowers and candy ’em up! OMG my daughter would LOVE to do this! Thanks for the awesome idea!! These are so adorable. This is one of the activities my son’s summer camp has for the kids as well. The kids love this.